*Subject to change. See store for details. 1. What is your favorite part about working at Billy Beez? 2. How is your site special or how do you make your site special? 3. What is your favorite site feature? This facility does not have wifi connection. All Day Access with Re-entry! save up to $69 on 10 visits! Lockers are available for all to use! Please bring your own padded lock! *Must provide valid proof of membership and ID to receive oﬀer. Cannot be applied to the purchase of a 10-pack, birthday party or used at the Honey Café. *Must provide valid proof of past or present service and ID to receive oﬀer. Cannot be applied to the purchase of a 10-pack, birthday party or used at the Honey Café. *Must provide valid proof of past or present service and ID to receive oﬀer. Cannot be applied to the purchase of a 10-pack, birthday party or used at the Honey Café. Cannot be combined with any other offer. Give your child the birthday party of their dreams… the chance to run, play, jump and explore with their friends! Our expert team will ensure a worry-free, child-approved experience, sure to be the most talked about party of the school year. Choose from one our party packages for an all-inclusive, personalized experience. Our gourmet catering menu includes kid and adult favorites, birthday cakes, and more. Billy Beez t-shirt for the Birthday Star! Meet & Greet with "Billy the Bee"
Host your Group Event at Billy Beez! 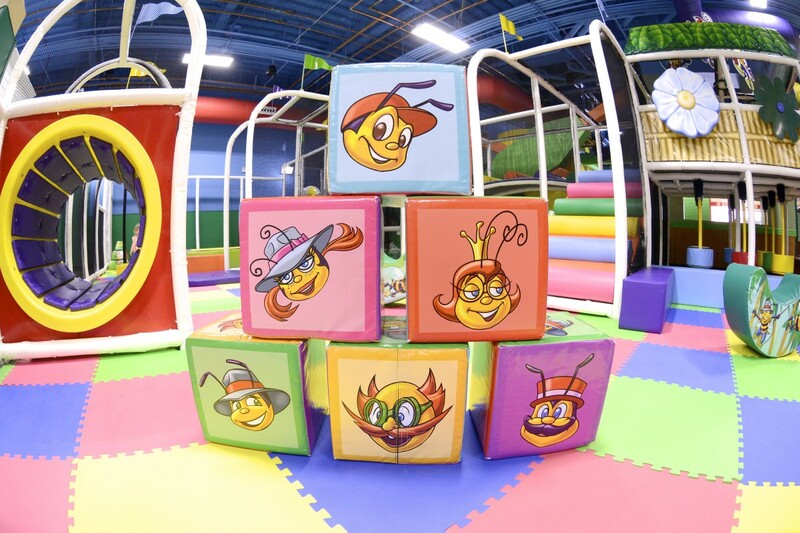 Enjoy the ultimate indoor play park experience with your group, team, company and more! Adults and kids alike will have a blast exploring and making memories. Join us for school field trips, camp outings or your family holiday party. Contact us to find out more about group rates and activities. Take a break from playtime to recharge your energy! Choose from any of our fresh and tasty options to enjoy with your friends and family.